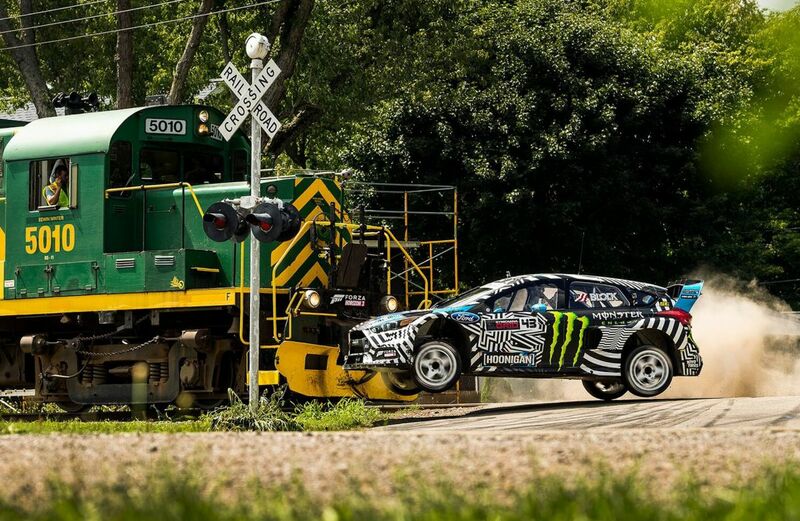 Ken Block returns, and with more sequels than Fast and the Furious, here’s more of the same, this time in a high horsepower Focus ‘RSX’ Rally Car. And a train. Nine films on and it seems we, the internet can’t get enough of rallying’s biggest entertainer and his awesome machinery. Am i the only one finds these a bit long in the tooth now?? All credit to him, they still look amazing but 8 mins is a tough watch now i think. Ultimate Divis hoods inspiration. Do love these videos! | Am i the only one finds these a bit long in the tooth now?? All credit to him, they still look amazing but 8 mins is a tough watch now i think. I could watch them all day to be honest, but I found this one a bit less exciting than previous ones. Nothing really new. | I could watch them all day to be honest, but I found this one a bit less exciting than previous ones. Nothing really new. Maybe if he binned it spectacularly once..... just once!!! Or even added some element of danger or something new! Still... a better 8 mins than say actually doing some work! Its when you see the amount of tyre marks on the road you realise how many times he's attempted the manoeuvre before the "take" that we see. near off the side of the harbour, and that train bit was pretty close. That thing couldnt have stopped quickly had something gone pete tong.